1. The optimum temperature for potted cacti in winter is 10 degrees Celsius. If they don’t receive 2-3 months of coolness, there are little chances to bloom! 2. Best place for cacti in the house is near a facing south window. Here, the plants receive the maximum light in winter, and if below the window you don’t have a radiator, the air will be chilly, and cacti love that. 4. Cacti need to be replanted in February-March, annually or once every two years, using a special mix for cacti and fat plants. After the replanting, don’t water the plant for two weeks! 5. Fertilize the cacti only in March-June using a product specifically formulated for cacti or a strongly diluted fertilizer with low nitrogen level and high phosphorus and potassium content. 6. In the spring and in the summer cacti should receive the maximum of light and heat. The pots should be placed in direct sunlight and rotated from time to time, for maximum sun exposure. 7. From spring to autumn cacti should be watered generous, but following a few important rules. Cacti are watered when the soil dried 3 cm from the surface. Pour water until it reaches the saucer under the pot. (Excess water is mandatory drained!) The proper cacti watering cacti should imitate desert rains that create short duration streams, but which are then quickly absorbed, leaving no puddles. 1. 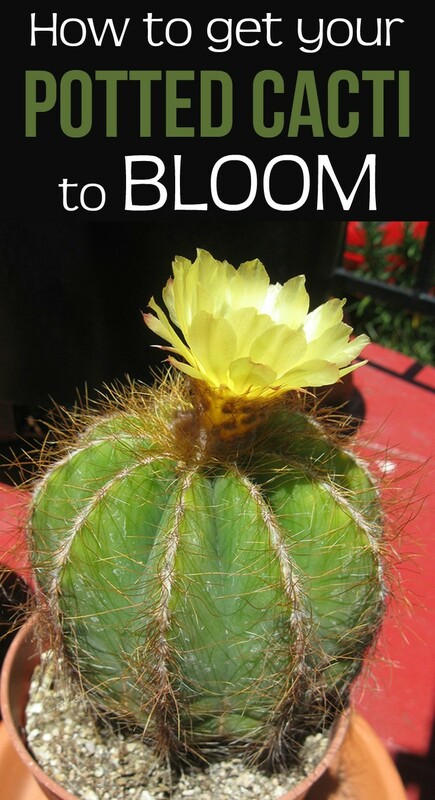 Some species and varieties of cacti bloom in adulthood, an age they reach after many years. 2. When you buy cacti, purchase it blossomed, to make sure you don’t have to wait years before you will be able to see its flowers.